My husband brought these summer shoes home for me just because! These super cool summer espadrilles are made by Soludos, a company launched in 2010, that has brought espadrilles back into the spotlight. Rope soles and fun canvas solids and prints make these shoes perfect for a laid-back summer look. The pair that my husband brought me are from a collaboration of LA-based artist and illustrator Mary Matson and Soludos. Learn more about Mary in a Soludos blog post from last summer. 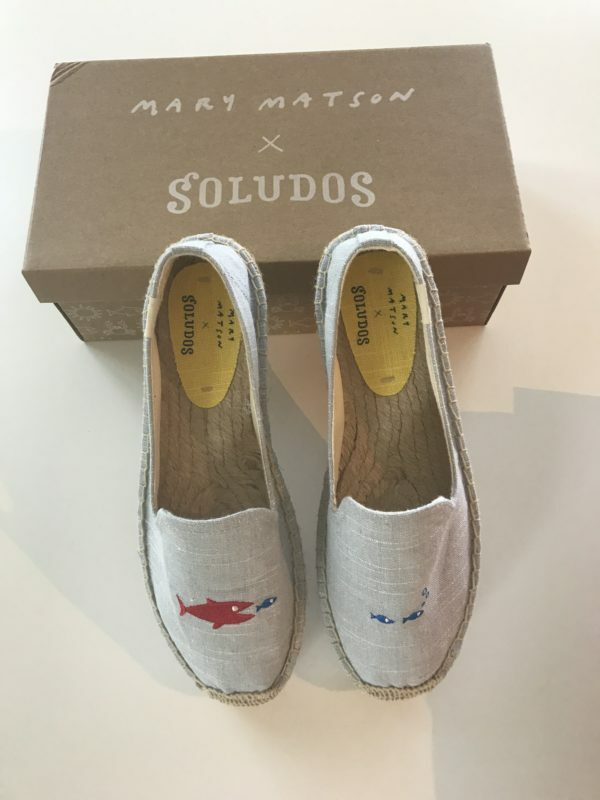 The Soludos X Mary Matson collection this summer is inspired by sunny colors and whimsical motifs, shop it here.